Generally speaking, standby generator costs rise as kilowatts (kW) do. But it would be an oversimplification to say price is based off a simple dollar-per-kilowatt calculation. With so many factors affecting the final price tag —application, sound requirements, location, type of fuel— there’s no rule of thumb that can apply to every situation in every industry. But we can give you a detailed explanation of the factors that impact standby generator cost so you can be more informed when you enter into a conversation with your dealer. 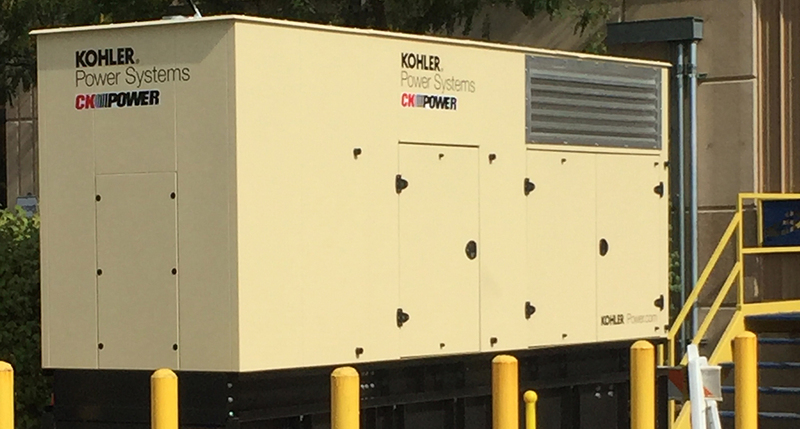 Understanding these factors will help you choose a standby generator that not only fits your requirements, but will also provide the best long-term value for your facility. The first step in estimating the cost of your facility’s standby power system is understanding the minimum regulatory requirements of your application. In addition to state and municipal regulations, you’ll need to pay attention to nationwide standards such as NFPA 110 (the standard for emergency and standby power systems), the National Electrical Code® and NFPA 99 (health care facilities code) if applicable. These regulations set the minimum requirements for what you need to power with your standby power system — and affect the size and price of your standby generator. At minimum, your facility’s standby power system needs to power the loads which directly impact human life (i.e., fire pumps, life support, ventilation systems, exit lighting, etc.) and other critical loads which aid rescue efforts (i.e., smoke removal systems, communication systems and some industrial processes). Once you meet the minimum requirements of local and national codes, you can pick and choose what else you’d like to power with your standby generator. You can choose to only power those loads which are legally required. Or you can choose to power optional loads such as IT rooms, HVAC systems and other non-critical equipment. But the more loads you add beyond the minimum requirements, the bigger your generator, the bigger your fuel tank and the higher your cost. Before calling a generator distributor, draw up a wish list of what you’d like to power with your standby generator. They’ll help you determine the minimum loads your backup power system must pick up based on national and local regulations, and then they’ll help you add on optional loads you’d like to include. Depending on your budget, you might be able to power everything on your list — or your distributor can help you work back to the essentials until you hit your ideal price point. Most standby generators are installed outdoors, so the noise regulations in your area can have a major impact on the cost of your standby generator. Almost always, your generator will be covered in a sound-attenuated enclosure, or packaging intended to reduce the sound emitted from the unit. Noise regulations vary by location, but you’re normally required to have a sound level below 75 db(A) at 23 feet —a measure of sound as perceived by the human ear— which is measured at your property line. This achieved through a quality sound-attenuating generator enclosure. The cost of this enclosure will quickly climb the closer the generator is to your property line and the stricter the noise regulations in your area. Let’s say, for example, your generator is 15 feet from the property line and your area requires a noise level of 65 db(A) instead of 75. Now you have to have an enclosure designed to achieve 65 db(A) levels at 15 feet — and this can nearly double the price of your standard enclosure designed for 75 db(A) at 23 feet. In short, the more stringent the noise regulations in your area, the higher the overall cost of your standby power system. Different areas have different levels of seismic risk, which can affect a facility’s access to fuel in the case of an emergency power outage. To account for this, standby generators supplying life safety and critical loads need to have enough fuel stored on-site to be able to run uninterrupted for extended periods of time. Depending on the seismic risk in your area, your system might need to be able to run for 24, 48 or even 96 hours without refueling, and your fuel tank needs to be sized to carry 133% of the fuel on site to run for that duration. This has a huge impact on the size of your fuel tank and, ultimately, the price of your standby power system — especially in larger facilities. Let’s say your system needs to be able to run for 96 hours without refueling. Your standby power system requires 18,000 gallons of fuel for that entire duration. According to the 133% rule, you’d need to store almost 24,000 gallons on site. At around $3 – 4 a gallon, the costs start to add up, not to mention the added cost of shipping and installing tanks large enough to store that quantity of fuel. The level of seismic risk in your area will directly impact the cost of your standby power system: A system designed to run for 24 hours will cost much less than the same system designed to run for 96 hours. More often than not, your standby generator will run off an on-site fuel source as described above. And for life safety applications, you have to have an on-site fuel source, typically diesel. But for alternate power systems serving non-critical loads, it would be acceptable to run your standby generator off your gas line — which would save money in fuel storage and maintenance. Stored fuel has to be tested and cleaned periodically to prevent microbial growth and remove sediment. If your system runs off your gas line, however, you wouldn’t have to worry about that. Running your standby off natural gas will generally cost less than running it off an on-site supply of diesel — but you can’t do it in many applications. You wouldn’t run your standby generator off natural gas in healthcare or life safety applications. For non-critical applications such as sewer pump stations, however, it’s a good way to save money on the overall cost of your standby generator. It’s impossible to give an exact dollar-amount estimate for a standby generator without knowing the specifics of the application because factors such as regulations, generator size, facility location and fuel storage drive the cost of a standby power system. That’s why a consultative approach to pricing standby generators is so important: Application drives cost, and every application has different needs. To learn more about the factors affecting cost for your particular application, request a free cost estimate. We’ll guide you through any applicable regulations and offer cost-saving solutions for meeting the standby power needs of your application. 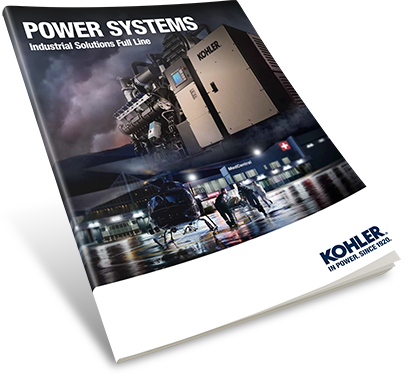 Or, if you’d like to learn more about our product offerings, download our standby power catalog.